Model T Ford Forum: Is This Tool Being Made? Is This Tool Being Made? Model T Ford Forum: Forum 2018: Is This Tool Being Made? 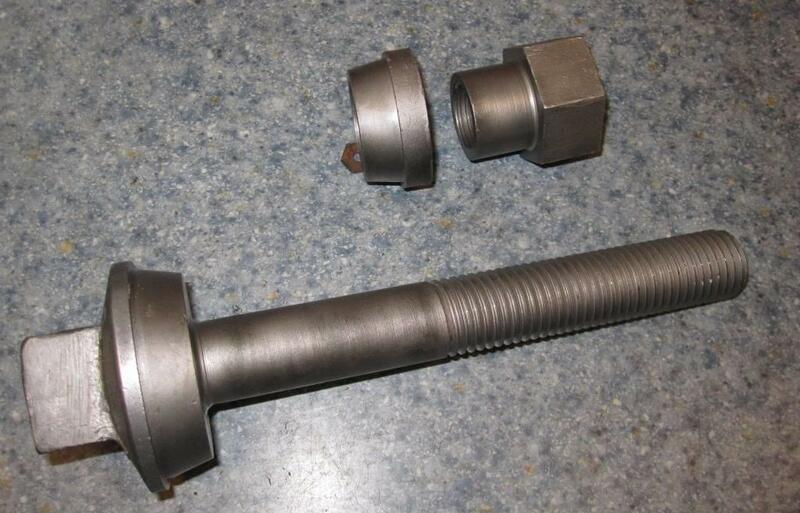 Not to hijack the thread on wheel bearings, but just asking, is this tool being made again? If not, is there a modern equivalent? It wouldn't be hard to make your own with some big all thread. That's what I do for bushings. 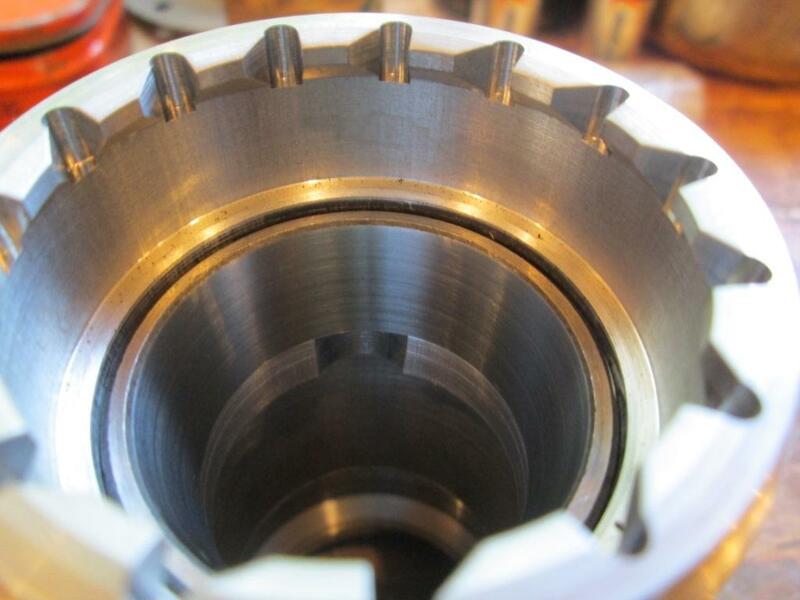 There is one thing, NEVER to do: Do NOT use the bearing INSIDE the cup/race to install the cup/race. 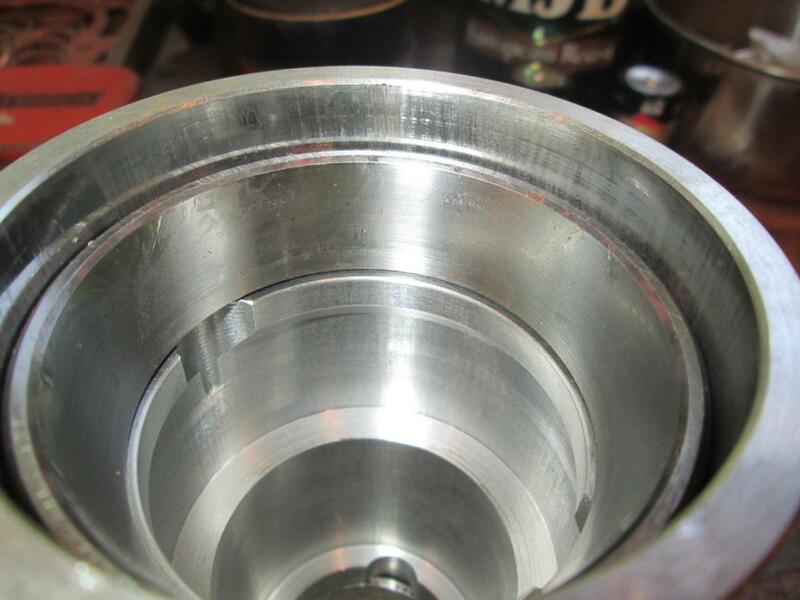 There is a strong possibility of deforming/damaging the cup/race and shortening the life of the new bearing assembly. 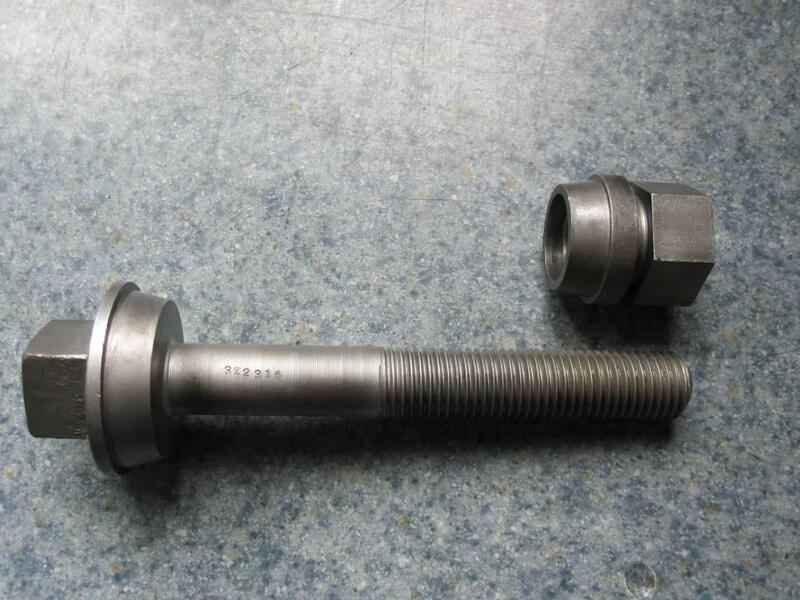 When using a tool, like above, to install the cup/race, use a mandrel machined to match the inside angle of the cup/race, to evenly distribute the force of installation. This way, the cup/race will not be deformed thus reducing the life span of the new bearing assembly. Thank you both, Steve and Terry. Terry. Good idea. 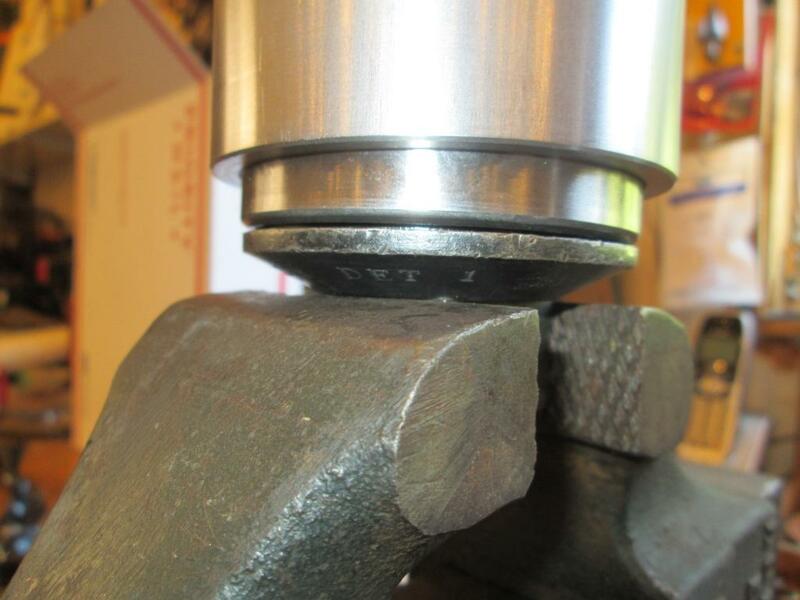 It would be very difficult and expensive to locate such a mandrel, but you could make the perfect sized mandrel you speak of by taking the new bearing cup and lining with wax paper, to keep it from sticking, then fill it with Aluminum Devcon, 2 part, epoxy putty, part #10610 from McMaster-Carr. Mixture: 4:1 by volume. When it fully cures, Aluminum Devcon is almost as hard as steel (hard enough to thread and machine) and would have more than enough strength to withstand the pressure involved. They were available through Ford - I have one and know of one other - great tool that does exactly what it was designed to do. I also have a KR Wilson Model A tool that does the same but machined it down to do T cups. 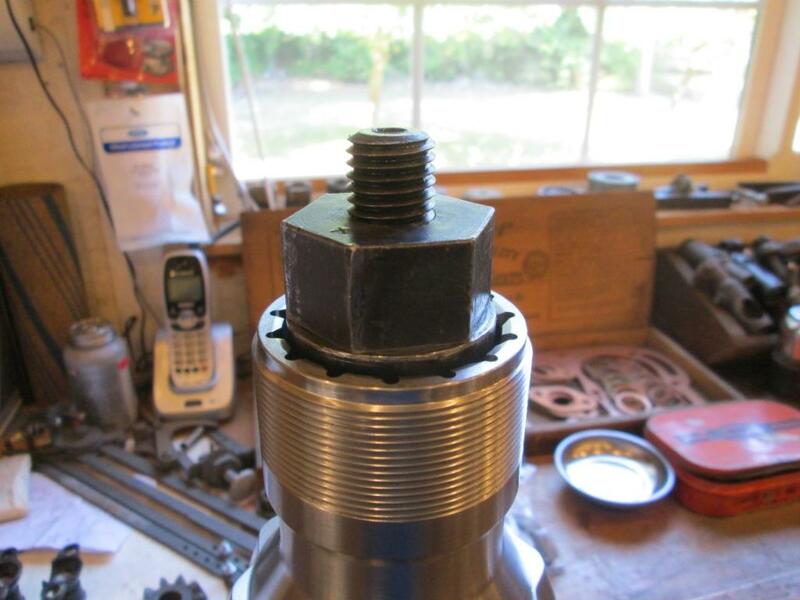 Steve, since you actually own one of these tools, is the tool pressing on the angled bearing surface or is it loosely fitting in the angled bearing surface to center the tool, but pushing on the face of the bearing cup? It would seem to me that pressing on the taper would be a recipe for disaster were something to be tight enough to cause the o.d. to start to expand. It would be simple to make the mandrels. Use an old outer cup and an old inner cup. Sand the sides of each enough for it to slide into the hole without sticking. 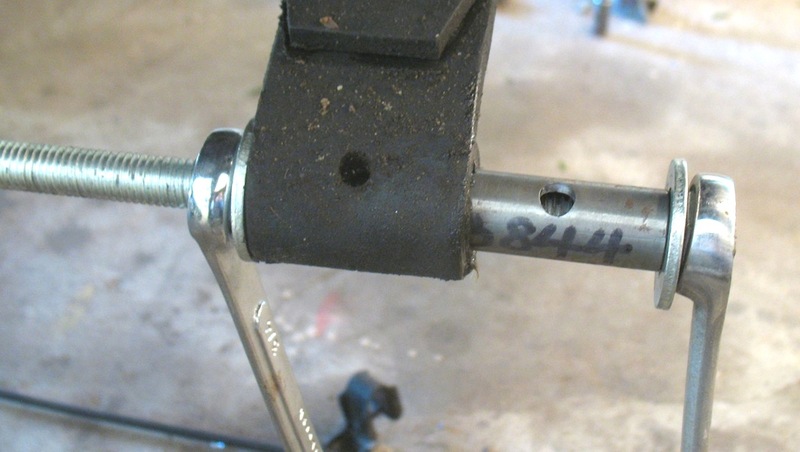 Weld on a piece of steel and drill a hole for the all thread. Use large all thread and nuts, like 7/8" or 1". 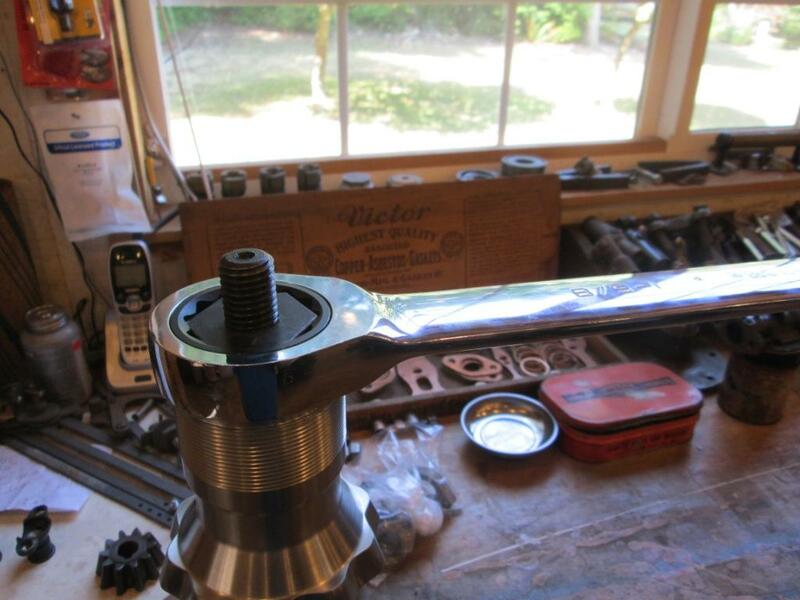 It you have access to a lathe and a metal saw you can make the mandrels out of a junk rear wheel hub. It pushes on the narrow face of the cup being slightly machined undersize on the O.D. as to not expand the hub area. Perhaps these close up photos will help explain? 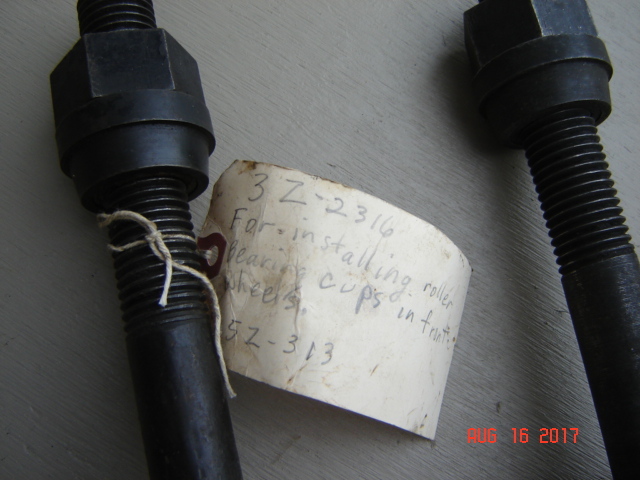 Note that the ford tool applies force only to the outside edge of the cup. The tapers are just to keep the tool centered. Good design. 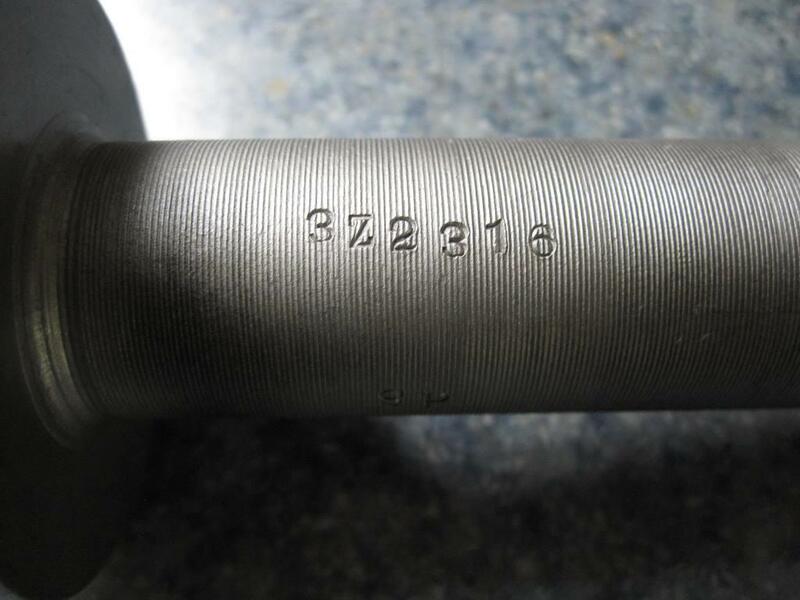 Has anyone looked into a really good machine shop duplicating the parts to make up the complete tool? I'd very much like to have one. Put me in line for the first pair! 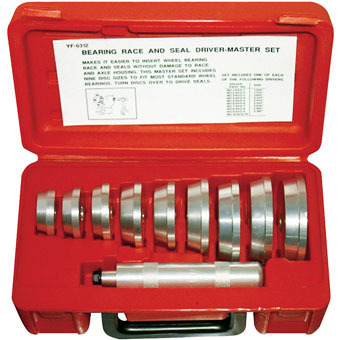 A bearing cup driver set maybe converted into a close equivalent to the Ford tool? I found some sets for around $30.00. Thinking the same, if these collars match the inner and outer cup, just add an all thread center and nuts. Plus, its fun to reuse old T parts for tools! As a former full time Model T restoration shop, I chose to utilize the best tool for the job at hand although there are times that tool investment for the "casual" restorer is hard to warrant. Hi Dan, That is what I had in mind. But I would snap up one of the Ford tools if I could find one. 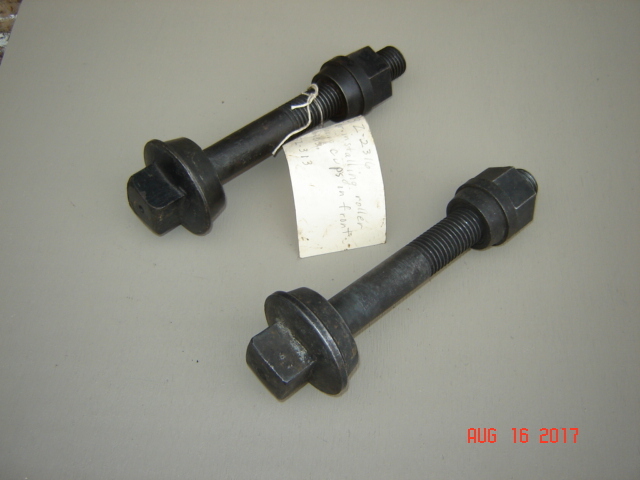 I've only found two of the Ford 3Z2316 bearing cup tools in the last fifty years. They are not too common, but they are out there. I kept the tool with the tag, and traded the other one to a Forum member last year. Great tool! As mentioned above, how often are you going to need one? Great find. 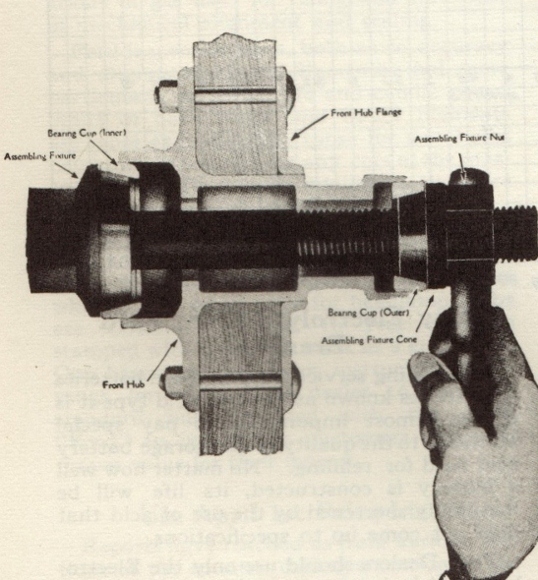 It looks like in the old photo above, they were using a common Stillson wrench to crank it in. Here's a few photos of new Timken cups being installed in Kevin P.'s new Buffalo hubs - took all of 30 seconds to do both ! Pray tell, what did you do with open ends of those 60-70 dollar wrenches?